Defining the impact of mutation accumulation on replicative lifespan in yeast using cancer-associated mutator phenotypes. Lee MB, Dowsett IT, Carr DT, Wasko BM, Stanton SG, Chung MS, Ghodsian N, Bode A, Kiflezghi MG, Uppal PA, Grayden KA, Elala YC, Tang TT, Tran NHB, Tran THB, Diep AB, Hope M, Promislow DEL, Kennedy SR, Kaeberlein M, Herr AJ. Proceedings of the National Academy of Sciences of the United States of America. 2019; 116(8):3062-3071. Hoffman JM, Ross C, Tran V, Promislow DEL, Tardif S, Jones DP. American journal of primatology. 2019; 81(2):e22944. The Effects of Graded Levels of Calorie Restriction: XIII. Global Metabolomics Screen Reveals Graded Changes in Circulating Amino Acids, Vitamins, and Bile Acids in the Plasma of C57BL/6 Mice. Green CL, Soltow QA, Mitchell SE, Derous D, Wang Y, Chen L, Han JJ, Promislow DEL, Lusseau D, Douglas A, Jones DP, Speakman JR. The journals of gerontology. Series A, Biological sciences and medical sciences. 2019; 74(1):16-26. Canine hyperadrenocorticism associations with signalment, selected comorbidities and mortality within North American veterinary teaching hospitals. Hoffman JM, Lourenço BN, Promislow DEL, Creevy KE. The Journal of small animal practice. 2018; 59(11):681-690. Past and present resource availability affect mating rate but not mate choice in Drosophila melanogaster. Tudor E, Promislow DEL, Arbuthnott D.
Behavioral ecology : official journal of the International Society for Behavioral Ecology. 2018; 29(6):1409-1414. Age- and Genotype-Specific Effects of the Angiotensin-Converting Enzyme Inhibitor Lisinopril on Mitochondrial and Metabolic Parameters in Drosophila melanogaster. Ederer KA, Jin K, Bouslog S, Wang L, Gorman GS, Rowe GC, Abadir P, Raftery D, Moellering D, Promislow D, Jumbo-Lucioni P, De Luca M.
International journal of molecular sciences. 2018; 19(11). 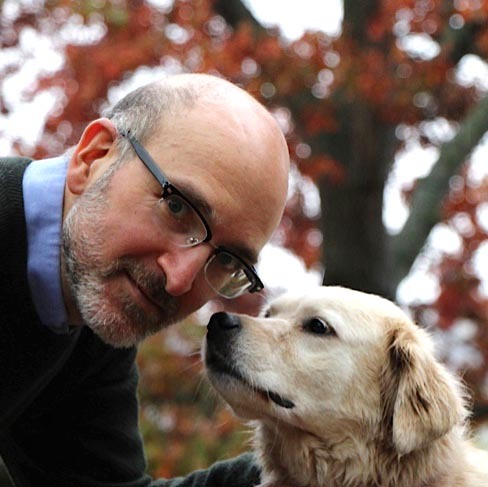 Research to Promote Longevity and Health Span in Companion Dogs: A Pediatric Perspective. Wilfond BS, Porter KM, Creevy KE, Kaeberlein M, Promislow D.
Antioxidants & redox signaling. 2018; 29(10):973-984. Genetic screen identifies adaptive aneuploidy as a key mediator of ER stress resistance in yeast. Beaupere C, Dinatto L, Wasko BM, Chen RB, VanValkenburg L, Kiflezghi MG, Lee MB, Promislow DEL, Dang W, Kaeberlein M, Labunskyy VM. Proceedings of the National Academy of Sciences of the United States of America. 2018; 115(38):9586-9591. My research is focused on trying to understand the basic forces that shape fitness traits in natural populations. I also use a systems biology approach to probe the mechanisms by which genotypes shape phenotypes. The evolution of aging serves as a conceptual focus for much of our work, but the lab is equally marked by the diversity of interests of the students and post-docs, including neurodegenerative disease, sexual selection, and epigenetics. While most lab studies are on flies, I also run an NIH-funded nationwide study on the systems biology of aging in pet dogs (dogagingproject.com).